Receive a lecture about how you’re not flossing enough or correctly. OK, so the last point might not be true for every person, but it probably happens more often than we’d like. Dentists and hygienists are sticklers about flossing regularly and correctly, and that’s not about to change any time soon. Dental floss is a tool that leads to better overall oral hygiene and prevents tooth decay, gum disease, and other nasty stuff. 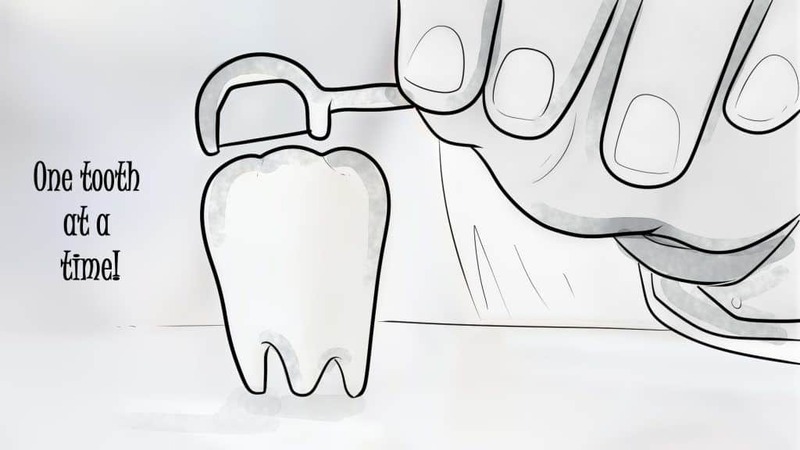 Like any tool, however, you need the right one for the job, such as Dr. Tung’s Mouth Floss . Dr. Tung’s is one of five best dental flosses that we’ll mention here. We’ll also provide some tips on flossing, what to look for when buying floss, and more. Listen to your hygienist and dentist. It’s time to get serious about your flossing routine. It’s not always easy to shop for dental floss. There are a ton of different brands to choose them, with each claiming to have the secret to healthy teeth. And most of them are good. Not every type of floss is right for every person, however. 1. How are your teeth spaced? 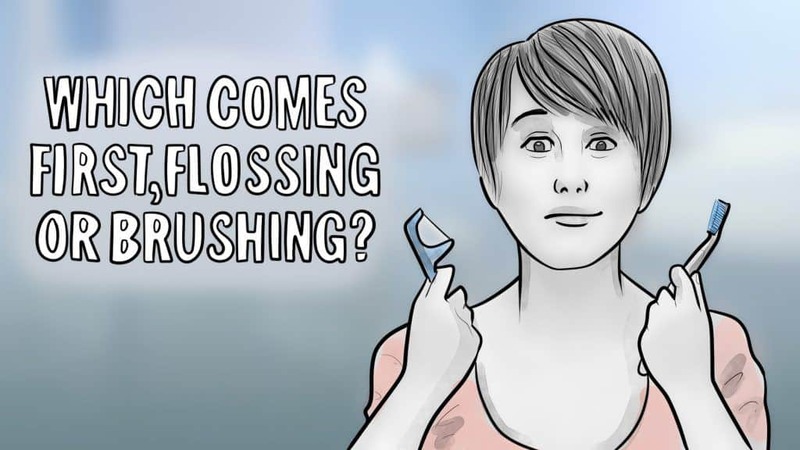 The spaces between your teeth help determine what kind of floss you should buy. 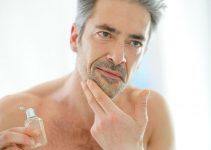 If they’re tight, your best option is a thin, single-strand variety – the thinnest you can get. Also, waxed floss is another option because it slides more easily between your teeth than the unwaxed variety (even though waxed floss is usually thicker than unwaxed. On the flip side, you’ll want to consider thicker floss, such as weaved floss that consists of several strands woven together. Another option is dental tape, which consists of a flat ribbon of nylon in waxed and unwaxed varieties. If you live in the U.S. or spend a decent amount of time there, make sure that the floss you choose has the American Dental Association’s Seal of Acceptance. A brand only earns the seal after producing scientific evidence that their product is more effective than simply brushing for reducing plaque and gingivitis. Moreover, the seal lets you know that the product is safe and won’t harm oral tissues. Some people have trouble using standard dental floss for a variety of reasons, such as limited mobility due to arthritis in the hands, injuries, etc. Flossing picks are a good alternative if you struggle to use regular floss. You don’t have to wrap the floss around your finger, and it’s easier for you to reach those often hard-to-get back teeth. Whether your floss is flavored or not probably doesn’t mean that much to you as an adult. But if you have kids – well, you know how challenging it is to get them to A) brush and B) floss. Let your child pick out their favorite flavor, and you’ll have a much easier time convincing them to floss regularly. Waxed floss slides effortlessly through your teeth because of its waxed coating. However, waxed flosses may contain industrial-based chemicals that, while certainly not necessarily toxic, may prompt you to consider a more natural brand. Many waxed flosses also come in flavored varieties. The flavor, such as mint or cinnamon, often makes flossing a more refreshing experience. Unwaxed floss is just that – floss without wax. Many users prefer unwaxed floss because it’s a bit thinner than waxed floss and thus, may fit a bit more easily between tight spaces (but doesn’t slide quite as effortlessly as waxed floss). Unwaxed floss is sometimes more susceptible to breakage because it lacks the waxed coating and slightly thicker filament of waxed floss. While many experts say that waxed floss is more effective in pulling plaque from between teeth and away from the gums than unwaxed floss, some studies say that there’s no difference between the two types. 6. What’s it made of? 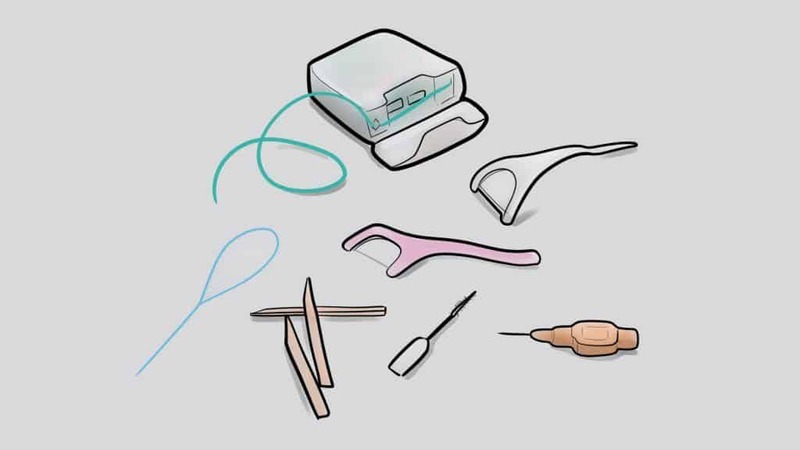 Dental floss comes in a variety of materials, including nylon, polymer, etc. Most studies show that there isn’t much of a difference between the different materials regarding effectiveness, so choose one that’s most comfortable for you and enables you to clean your teeth thoroughly. Floss comes in two types of filament: monofilament and multifilament. Monofilament consists of a single strand, typically made of nylon. 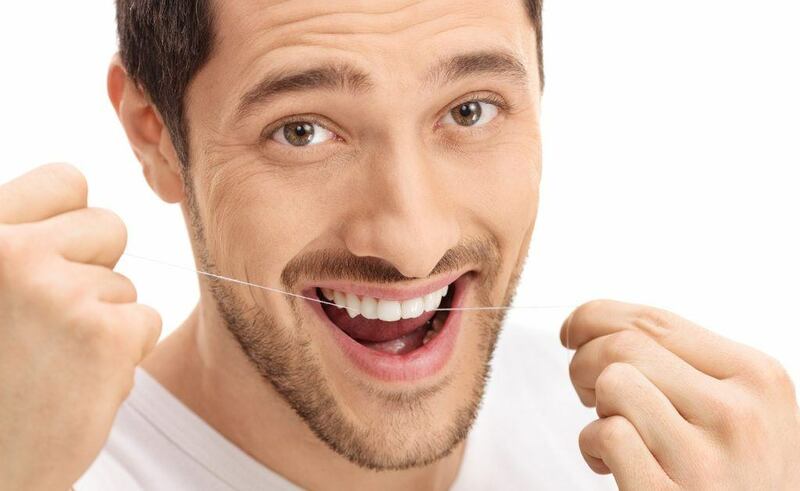 Monofilament floss is cheaper to make but more susceptible to bending and, experts say, isn’t as effective as multifilament floss in removing plaque and other debris in a single pass. That said, you made need to make multiple passes with monofilament floss. Multifilament is found in most of the most popular flosses available today. It’s slightly thicker than monofilament floss and usually constructed of nylon or other synthetic materials. Multifilament floss spreads out when pressed against the walls of your teeth which makes for wide coverage and easier plaque removal. Poorly constructed multifilament floss often frays or shreds during use because its made of several thinner strands. 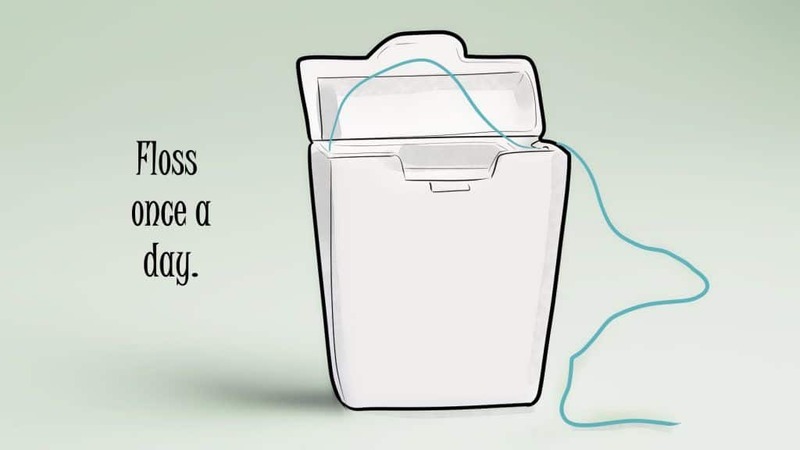 If you have trouble choosing a dental floss, by all means, ask your dentist or hygienist. They not only may help you choose floss that’s best for your mouth and teeth, but can also give you some tips about proper flossing technique. Dental tape is similar to standard floss but is wider and flatter. Some people find dental tape easier to control and more comfortable to use overall. Note: Dental tape tends to cost more than regular floss. Dental picks, also known as inter-dental picks, often resemble toothpicks but come in a variety of materials and shapes. One of the advantages of picks is that they come in different sizes to fit the spacing between your teeth. They’re also effective for people who have bridges or tooth implants which may make regular flossing difficult. Who knew that dental floss could do so much? In the case of Dr. Tung’s Smart Floss, you can stretch it and tighten or loosen your grip depending on what type of flossing you need. It even comes in a biodegradable container that breaks down faster in landfills when compared to typical plastic – which is all well and good as long as the floss is effective. And we think it is. Dr. Tung’s floss adjusts to your grip to fit into spaces between your teeth. If you grip it tightly, the floss narrows to make it easier to get between teeth. If you loosen your grip to give it a multifilament design, the floss expands to provide fuller coverage on either side of your teeth. We also like that Dr. Tung’s Smart Floss is coated with a blend of vegetable and beeswax and not with synthetic wax that you’ll find on many other brands of floss. It makes for a less abrasive floss that can still reach deeper into your gums while cleaning more effectively around your teeth. 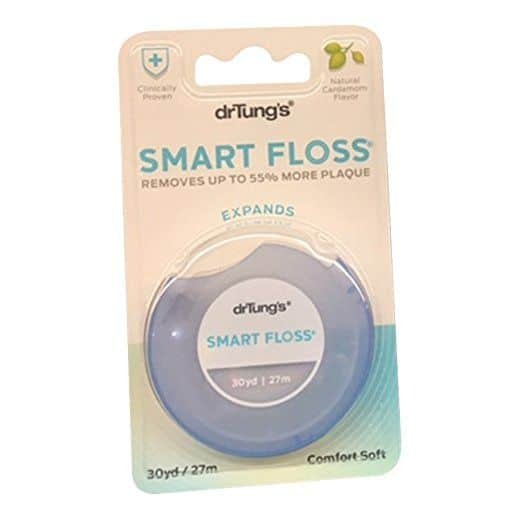 Dr. Tung’s makes some lofty claims regarding their floss’s cleaning ability: they say it will remove up to 55% more plaque than other brands. Another positive about Smart Floss is that it’s suitable for everyone, including those with tight spaces between their teeth, wider spaces, and even those who have orthodontia such as braces. The floss comes in one flavor – cardamon – which one reviewer said smells like a pine tree and a bar of soap. But the majority of users love the taste, even if it takes a couple of flossing sessions to get used to it. Dr. Tung’s Smart Floss should be in any conversation about the best dental floss available today. As its name suggests, it provides a “smart” way to floss and to keep your teeth gums in the best health. Like Dr. Tung’s Smart Floss, Oral-B Glide Pro-Health Comfort Plus provides a gentler way of flossing than with most other brands. And if your floss doesn’t provide a comfortable experience, you may decide not to floss at all (don’t do it!). Comfort isn’t the only thing we like about Oral-B Glide Pro-Health Comfort Plus, however. For one, it’s smooth, strong, and shred resistant. For another, it slides more easily into tight spaces between teeth than most other brands. We think it’s the best floss for tight teeth. Indeed, Oral-B Glide is one of the most recommended brands on the market, both by reviewers and dental health professionals. Their “Glide” family also includes Glide Original and Glide Deep Clean, which are highly-rated, as well. Comfort Plus comes in a mint flavor, while the floss has a slight waxed coating that makes it easier to pull through teeth. For being one of the most highly-recommended flosses on the market, it’s also one of the most affordable. The Oral-B Glide line of floss is as good as it gets and you won’t go wrong using any of its three variations. Comfort Plus is excellent for getting in between the tight spaces of your teeth while gently stimulating your gums. Listerine isn’t just about mouthwash. 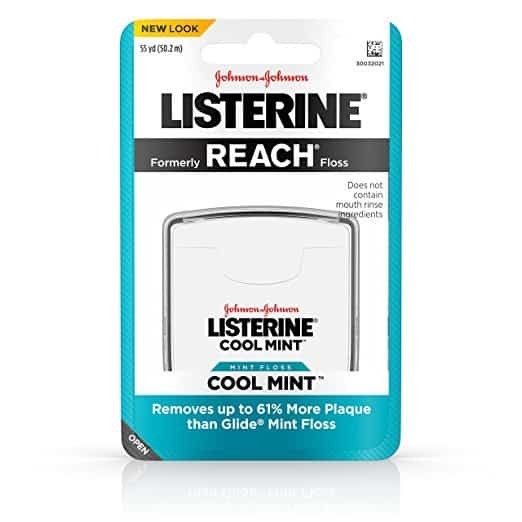 True, most people may associate the Listerine name with their popular brand of mouthwash, but they make other excellent products, too, including their Cool Mint Interdental Floss. Their floss has the same breath-freshening qualities of their mouthwash while also promoting good oral health. The Cool Mint Interdental Floss is incredibly thin but extremely effective at scraping and removing plaque from your gums. 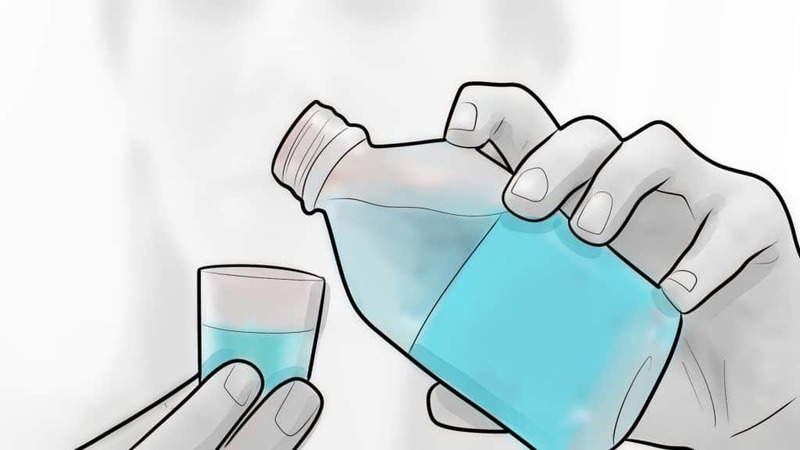 Plus, you’ll get a nice burst of Listerine’s distinctive mint mouthwash with every use. 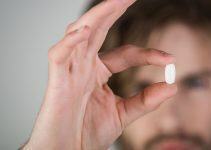 Of course, every brand – or, at least most – like to point out how their product is more effective than their competitor’s brand, and Listerine follows suit by saying its floss removes over 60% more plaque than another popular brand. We have no way of proving that, but we do think Listerine’s Cool Mint Interdental Floss helps keep your gums and teeth healthy. If Listerine’s mint flavor isn’t your thing, they also offer a cinnamon-flavored version that’s a woven floss designed for sensitive gums, as well as a Healthy White floss that contains baking soda that makes your teeth whiter while removing stains. Listerine also offers an Ultraclean floss that’s ideal for tight spaces between teeth and dental work, and a Gentle Gum Care floss designed for people with sensitive gums. Finally, Listerine offers an Ultraclean Access Flosser for people who have limited dexterity and may struggle with traditional string floss. But, no matter what your preference, we think that the Listerine Cool Mint Interdental Floss is versatile enough to handle the job. It’s an effective fighter in the battle against plaque. Listerine is perhaps best known for its mouthwash, but they make plenty of other quality products that promote excellent oral health. Their Cool Mint floss cleans a significant amount of plaque while leaving mouth – and breath – feeling fresh. 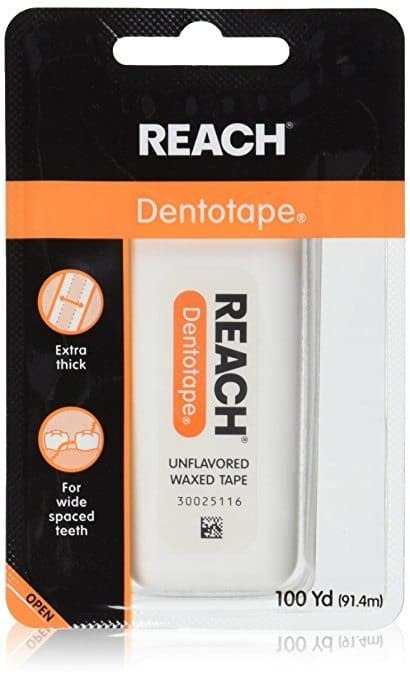 Dental tape is a great option if you have wider-than-normal spaces between your mouth, and we think Reach’s Dentotape is a go-to choice. Reach – made by Johnson & Johnson – has an extra-wide cleaning surface that covers all of the areas between your teeth while clearing away any leftover food particles and plaque left behind in those spaces. 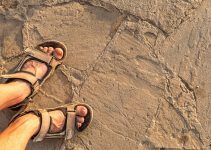 Moreover, it’s gentle, flexible, and doesn’t break easily. Users also like the fact that Reach Dentotape’s width helps make the job of flossing faster, i.e., your teeth are clean and free of plaque within minutes. Many people also like it in that it requires less effort than while using other types of floss. Dentotape comes in six styles and sizes. True, it’s excellent for people who have wider spaces between their teeth, but it’s also flexible enough to clean between thinner spaces. It’s also sturdy and doesn’t break easily, and it’s easy to grip. Your container of Dentotape Waxed Floss comes with 100-yards of floss, which is longer than the amount found in most brands. That means it will last longer and, combined with its affordable price, makes it an excellent bargain. Even if used every day, Dentotape should last you at least several months. It’s also unscented and won’t leave an unwanted taste in your mouth. Dentotape is something you should seriously consider purchasing if you have wider spaces between your teeth. It’s gentle, easy to use, and will last you a long, long time. People with braces understand the challenge that flossing is, at least for them. The archwire – the wire that runs through each brace to hold them together – in braces prevents them from flossing traditionally. That’s why it’s helpful to have a product such as Oral-B Super Floss Mint Dental floss at their disposal. 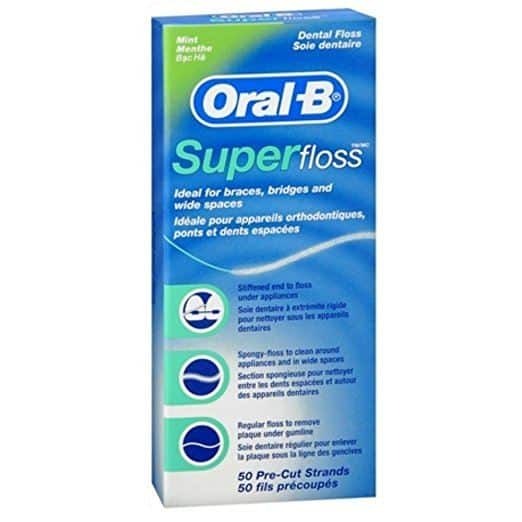 Oral-B Super Floss is the best floss for braces because, well, that’s how it’s designed. It allows you to floss under appliances while cleaning around and between braces. How does it work? Here’s how: Oral-B Super Floss consists of a piece of traditional dental floss, but there’s a stiff piece of plastic at one end (which is no wider or thicker than the other floss) that’s rigid enough to insert between your teeth. 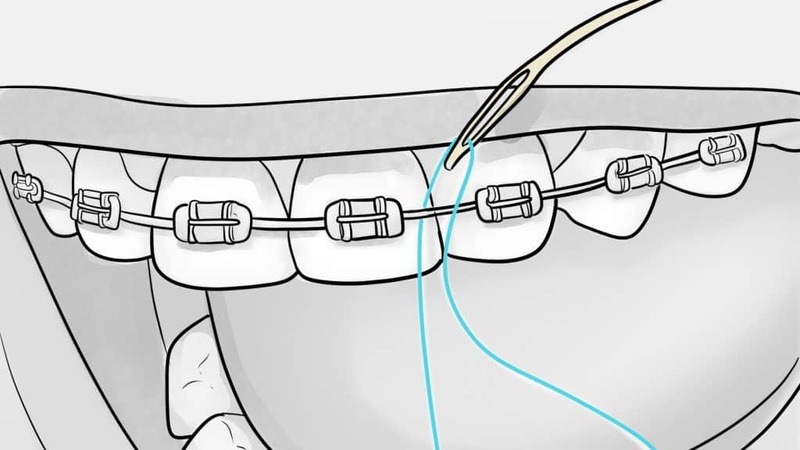 The plastic ends make it easy for you to insert the floss between teeth around the brace’s wire before moving on to the next area you need to floss. Additionally, the Super Floss has a small spongy area between the plastic threader and regular floss, which enables you to clean further into the gum line, as well as around brackets and wires to remove more plaque. 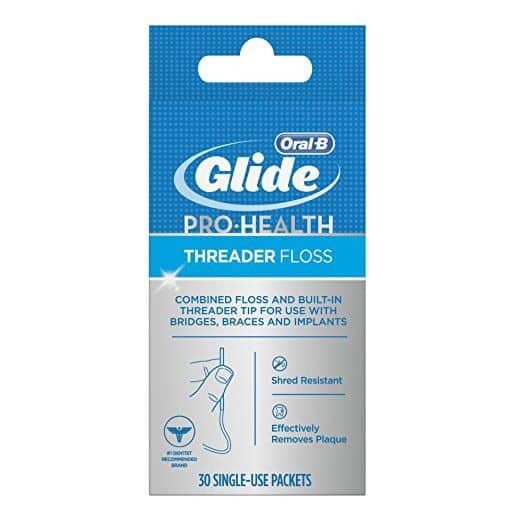 Another thing we like about this floss is that it comes in pre-measured strands that takes the guesswork out of deciding how much floss you need to use. Flossing is important for everyone, but perhaps even more so for people with braces, because braces create more surfaces for food to get stuck in and for which bacteria to cling. If you wear braces, you need to make an extra effort of practicing good oral hygiene or risk the chance of developing yellow or stained teeth, white patches on your teeth, bad breath and, last but certainly not least, tooth decay and gum disease. There aren’t a ton of choices regarding floss designed for people with braces, but Oral-B Floss Mint Dental Floss always ranks near the top of the list. It ensures that you’re practicing the best hygiene in and around your braces. Most of us have flossed for nearly our entire lives, but not all of are doing it correctly. Our hygienist, meanwhile, handles floss like a samurai and then firmly explains to us how we’re falling short in the flossing department. Flossing, mind you, isn’t overly complicated but our technique often becomes sloppy because we’re in a hurry or have a few dozen other things on our minds during the process. Furthermore, we may skip it altogether, which no one advises. 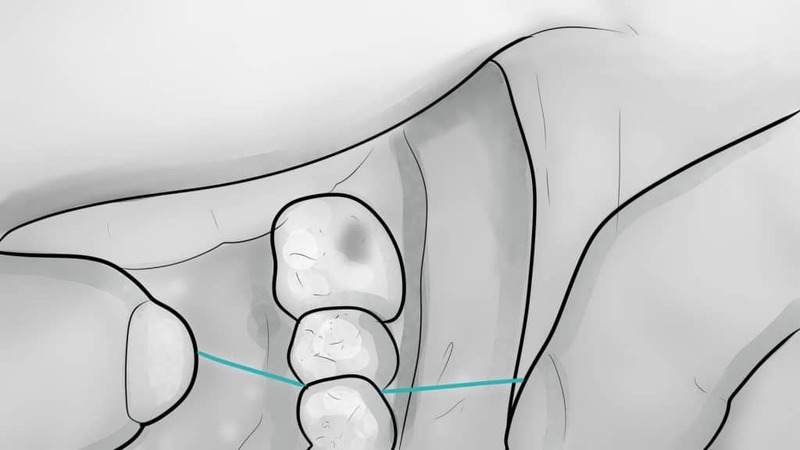 Here’s a look at the best way to floss (according to the experts, not us). We’ve already discussed this step in a variety of ways but an important factor to keep in mind is the spaces between your teeth. Tape floss often is the best option for people with wider spaces between their teeth. Other considerations include multifilament vs. monofilament floss, as well as waxed vs. unwaxed. Most people floss after brushing. It’s a helpful strategy because the toothbrush begins the process of removing stray particles from your teeth. On the other hand, brushing your teeth after flossing may help more fluoride reach between your teeth (while removing any debris left behind by flossing. 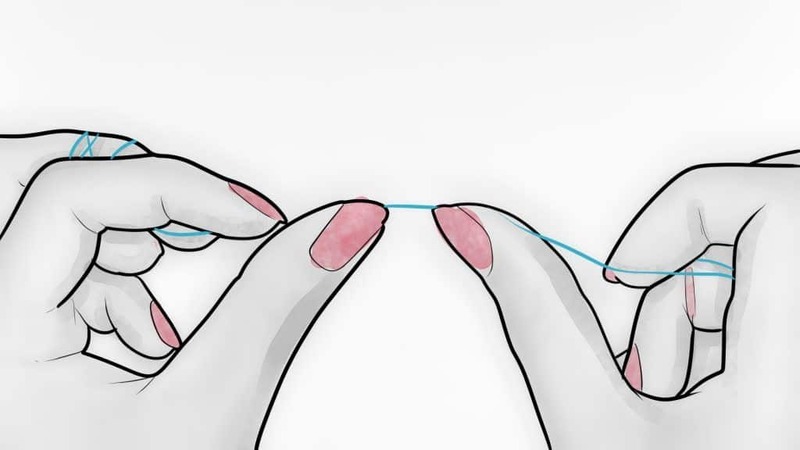 Begin by wrapping the ends of an 18-inch to 24-inch section of floss around your middle fingers. Hold the floss between your thumb and forefingers of both hands leaving 3 to 4 inches of the floss exposed – which is the part you’ll use for flossing. Use your thumbs to guide the floss when flossing your upper teeth. Note: your index fingers are best for flossing your lower teeth. It doesn’t matter which tooth you start with as long as you floss every tooth before you’re finished. Slide the floss gently between your tooth and the gumline. Apply firm, but not too aggressive pressure. If you’re too aggressive, you increase the chances of gum bleeding. 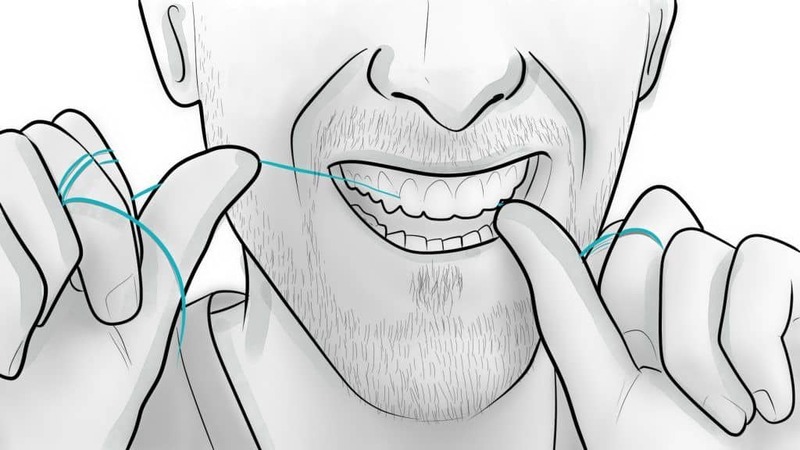 Bend the floss in a “C” shape as it makes contact with the gums and use a gentle up and down motion to clean the area. Let the floss dip below the gumline after you’ve slid it between your teeth and moved it up and down to reach the contours of each tooth. You should also use a back and forth motion to help scrape away additional plaque and debris. Repeat the flossing process between each tooth. Don’t wrap your floss around the gum of two teeth at a time. Make sure to use a new piece of floss for each tooth. 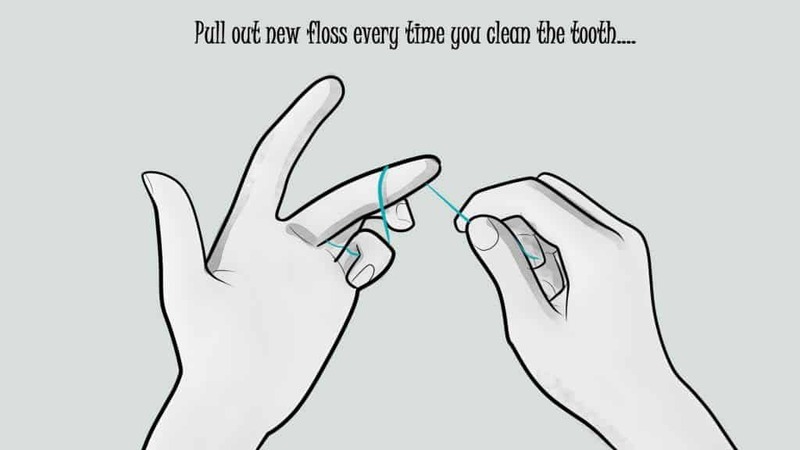 Simply unravel the extra floss wrapped around your index finger as you move to a different tooth. You can always pull out some new floss if you run out of clean sections. It’s often harder to floss the rear areas of your mouth, especially the backs of molars. But gum disease and tooth decay often form on the back teeth. Slide your floss gently between your rear molars and gums and pull it toward you to make sure you’re effectively flossing your gums. 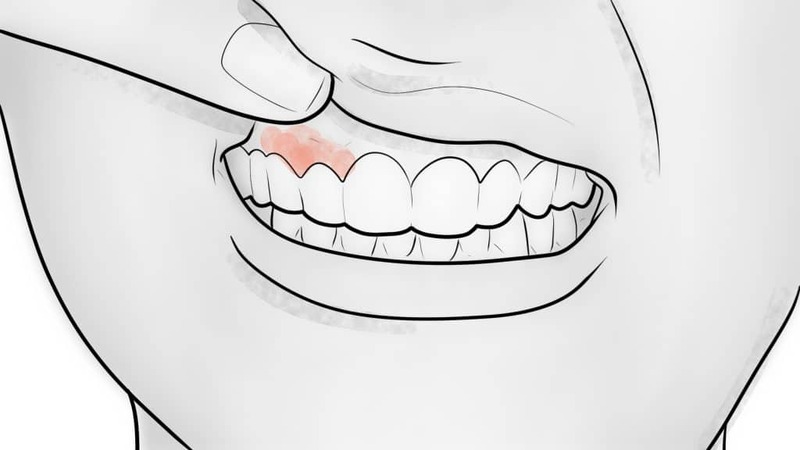 You’re not alone if you experience some bleeding between your gums. Bleeding gums are a sign that you need to floss more often but shouldn’t discourage you from flossing regularly. The bleeding – and swelling – will subside once you develop a regular flossing routine. If the problem persists, contact your dentist as soon as possible. It’s important to rinse your mouth with water or mouthwash once you’ve finished flossing. Doing so helps remove any stray particles left in your mouth after flossing. A chlorhexidine mouthwash destroys almost all traces of bacteria while creating a protective barrier around the gums. The American Dental Association recommends flossing once a day for two to three minutes. However, even a minute of daily flossing has a positive impact on your overall gum health. Many people floss before bed to remove any particles that accumulated between their teeth during the day, but when you choose to floss is a matter of personal preference. Flossing with braces presents some obstacles, as previously mentioned. For one, you have to work around the archwire that holds everything together. Unless you use a brand of floss made for use around braces, such as Oral-B’s Super Floss, you may struggle with trying to thread the floss through each gap in the wire. An orthodontic floss threader is the way to go when flossing around braces. String floss used to be the only game in town – or, at least the predominant one – before water flossers gained popularity. Dentists say they’re often asked what method is best, string floss or water floss. The answer is, well, perhaps it’s simply best to weigh the pros and cons of each. Ah, string floss. 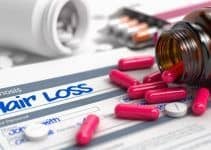 As mentioned, most of us understand the importance of flossing and have since we were children, and for most of us the image of a small, plastic container of string floss comes to mind. By now, miles upon miles of string floss has helped keep the world’s gums healthy. While water flossers may seem like a relatively new phenomenon, the first was introduced in 1962. They’ve certainly come a long way since then and the number of people who use them is growing. So, what’s the verdict? String floss or water floss? First, keep something in mind: dental professionals want you to floss whether you use string floss or a water flosser, or floss pick. Not flossing is the worst option in their minds, and they have a ton of research – and rotting and falling-out teeth – to back them up. Here’s something interesting about research: in many cases, it shows that water flossing works more effectively than string flossing for removing plaque while preventing gingivitis and bleeding gums. That’s not to say that you shouldn’t use string floss. On the contrary, string floss is still an effective way to clean your teeth and gums of the debris your toothbrush can’t reach. If string floss represents your primary method, just make sure you’re doing it as effectively as possible. There’s plenty to consider when evaluating the many brands and types of dental floss – the type of filament, whether it’s waxed or unwaxed, whether it’s traditional floss, tape, or otherwise. As always, we examined the reviews of others closely, whether from actual users or other websites. We strived to choose floss that’s easy to use, that’s effective in removing plaque and food debris, that works for different types of teeth (in particular, the different types of spacing), and which didn’t break easily. 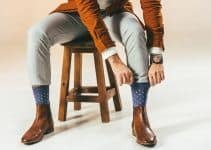 We also considered each brand’s cost and strived to find brands that fit every man’s budget. What are your thoughts? Do you have a favorite floss? Have you tried any of the brands we’ve listed here? Your feedback and suggestions are important to us, and we’d love to hear from you.